Family snoozes provide the opportunity for you and your family to experience a sleepover at the zoo. Each family snooze is scheduled by the Zoo and features a different program theme. All child participants must be 6 years and older and accompanied by an adult. Family Snoozes are not exclusive to your group and we may book multiple participants/groups in one night. All participants must be preregistered prior to the program. Parents/guardians must accompany participants throughout the program experience. Participants must not exceed a 6:1 ratio of children to adults you are supervising. Snooze Programs are held rain or shine. The Virginia Zoo reserves the right to cancel or change any program. Programs that have not met the minimum number of participants within the week of the program may be cancelled. In the event that we cancel your program, a full refund will be issued and individuals will be contacted directly. Snooze Program cancellations must be received at least 10 days prior to the program to receive a partial refund of 80%. No refunds will be given for programs canceled less than 10 days before the date. 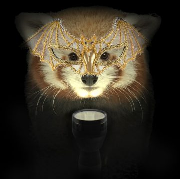 Ready to trick or treat yourself to a night at the zoo? All ghouls, monsters, ghosts, witches and creatures of the night are invited for a spooktacular evening. Join us for spooky festivities like nighttime games and activities, up-close encounters with our animal ambassadors, a night hike, a behind-the-scenes experience, evening and morning meals and so much more. Costumes are welcome for this wicked night of fun. Participants must be at least 6 years and older and must be accompanied by a parent or guardian. This family snooze will be led by experienced and enthusiastic witches and wizards. The evening begins with a pizza dinner and guests receive their very own Virginia Zoo water bottle. Participate in fun and educational activities including animal encounters, hikes, games and more! After a fun-filled evening, you’ll have a delicious breakfast and continue with a morning hike before joining our Keeper Staff in an exclusive behind-the-scenes experience.